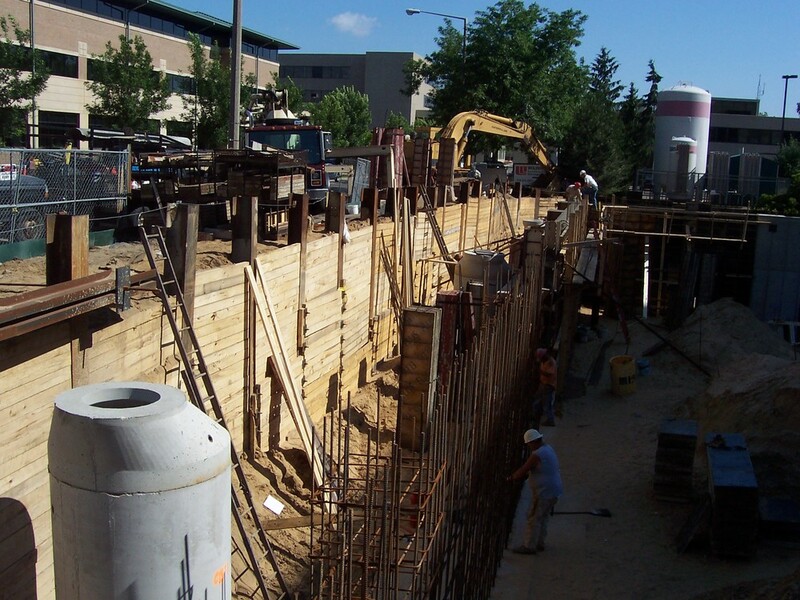 THE KING CO., INC. was selected by Velting Contractors, the sitework contractor, to design and build an earth retention system consisting of a vibration free soldier pile wood lagging wall to allow the expansion of St. Mary's Hospital. 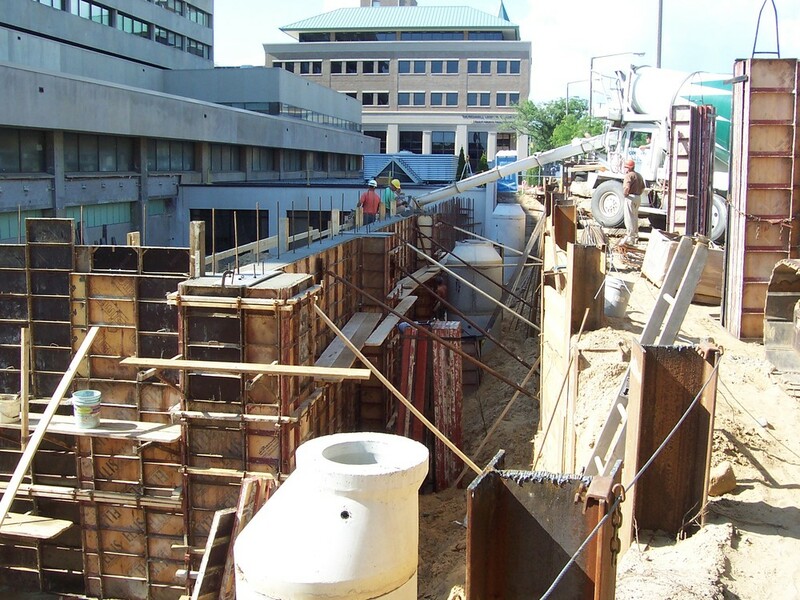 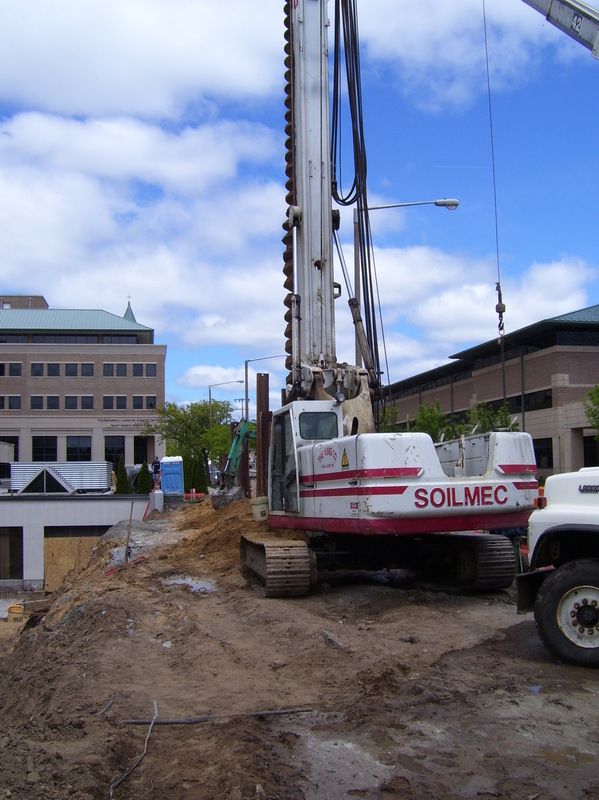 Approximately 200 linear feet of temporary earth retention was installed in downtown Grand Rapids along an active roadway and numerous utilities. 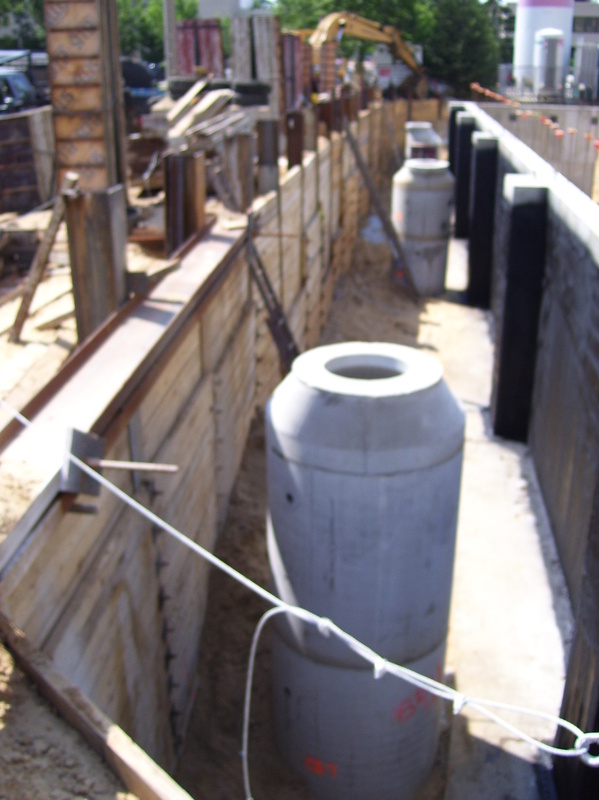 The earth retention system was designed for excavation depths up to 19-feet from roadway grade.